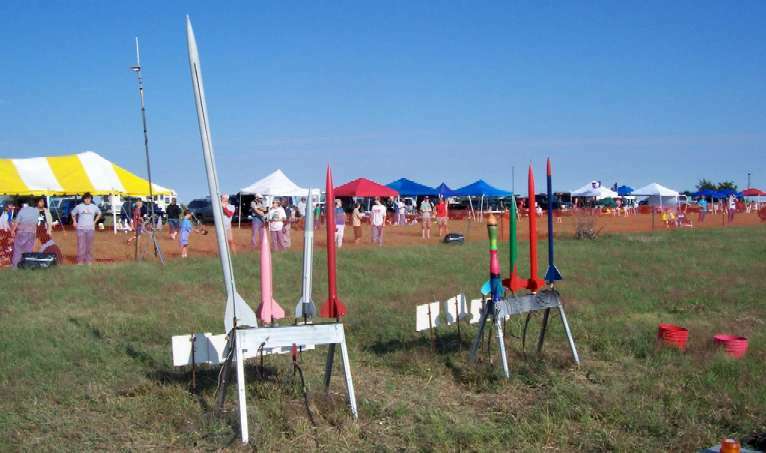 Attending a KLOUDBusters rocket launch event is a fun, family-friendly activity. Not only are the flights exciting, launches afford the opportunity to get away from busy city traffic and enjoy the fresh air, sunshine, and wide-open spaces of the Kansas prairie. If you plan on attending a KLOUDBusters launch as a spectator, below are some things you should know. Range hours posted for launches are APPROXIMATE. Field conditions, road conditions, weather conditions (wind, rain, and/or cold temperatures), and other outside factors can affect the start of launches. If questionable conditions exist, check www.kloudbusters.org and look at the bottom of the main page for the "Latest News" section for the latest updates on scheduling. You can also contact Science Education Center by phone to confirm start times. Published range hours are the outer bounds of when launches will occur - that is, never will there be launches before the start time nor after the closing time. Our launches are governed by a waiver posted with the FAA which includes start and stop times which are not flexible. Most of the time, the flyers will arrive early in the day and start launching shortly after the waiver start time. Your best bet to see rockets as a spectator is to arrive early. The exceptions to this are if it is really cold or windy or drizzly. In those cases, things might start slowly in hopes of improving conditions. If it is a "slow" day and everyone is done launching their rockets, we pack up and go home early. 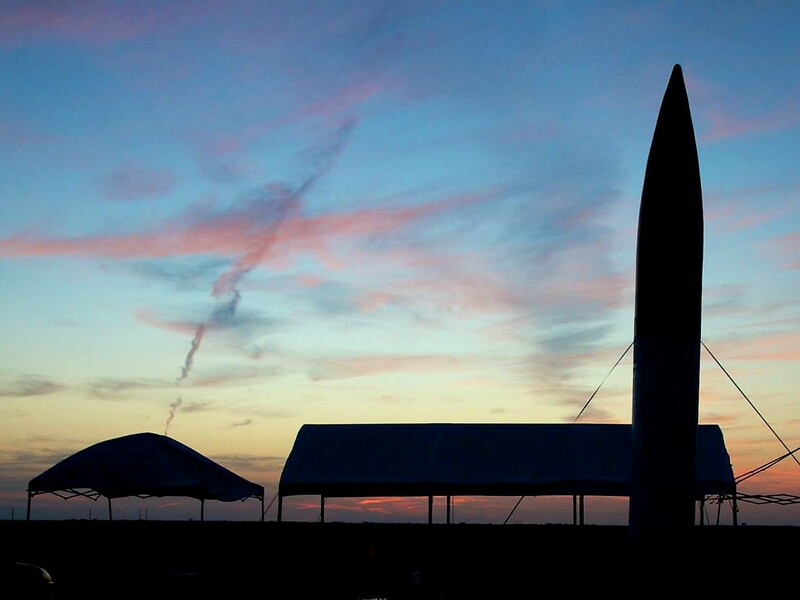 During our "major" multi-day launch events (KloudBurst in April, AIRFest over Labor Day weekend, and Distant Thunder in November), the last day's launches are usually completed early. Weather conditions notwithstanding, for major launches if you want to see lots of rockets, arrive by about 10 or 11AM on Saturday and plan to stay until 4 or 5PM. For AIRFest, Sunday during the same hours is always a good day as well. There is no advance schedule of events. Nearly all projects are individual endeavors and each rocketeer has his/her own desires and constraints to deal with. Sometimes there are lull periods when there are no launches, and other times there will be dozens of rockets launching consecutively. Occasionally, specific projects announce a launch window or timeframe at which launch is intended, however, invariably the time is adjusted or scrubbed completely. This sort of stuff happens, and usually with good reason. Believe us when we say the flyers are far more disappointed that anyone when a scrub occurs, but it is usually in the interests of success of the flight and/or safety. Launches advertised as "Fun Fly" events are generally attended by 20 or 30 flyers when the weather is good. In winter months, there might be just a handful of flyers and no more than a dozen or so flights. There is almost no way of knowing if there will be really huge rockets launched at Fun Fly launches. Spectators should stay behind the flight line at all times. For the major launches, there will be fencing erected which designates the flight line. For Fun Fly launches, the Launch Control Station table designates the flight line. Staying behind the flight line is mandatory and launches will not take place when persons are beyond the flight line. Each flight is announced by the Launch Control Officer (LCO). The announcement will include the name of the flyer, the name of the rocket, the motor being used and a countdown to launch. The LCO might also give a few more details about the rocket, including any electronics on-board or may announce a "heads-up" flight. If "heads-up" is announced, everyone should get on their feet and be prepared to react to any flight or recovery anomaly. Small children should be near their parents or in their parents arms for "heads-up" flights. There will be model rocket or mid-power flights from the near set of launch pads and high-power flights from sets of pads set back further from the flight line. Rocket motor total power (or impulse) are classified by an alphabetic nomenclature that can give you an idea of what you might expect from the flight being announced. The small model rockets from the near set of launch pads will have a designation of an A, B, C, or D class motor. For example, you will hear the LCO announce "On pad twenty-one Tommy Rocket flying his Estes Alpha on a Bee Six Four (B6-4) in three...two...one". The small rocket on Pad 21 will go whoosh and head skyward. Mid-power rockets have motors of impulse class E through G. High-power rockets start with H impulse motors and are usually louder and faster. At KLOUDBusters launches in the past, rockets with P impulse motors have flown, which are very powerful. If you pay attention, it doesn't take very many launches to get a general feel from the LCO announcement regarding the speed and power of the rocket being launched. A normal rocket flight will have a powered boost while the motor is burning its fuel, a coast period after the motor burns out as the rocket ascends from the momentum generated by the motor, an ejection event (or "pop") near the apogee of the flight which deploys a parachute, and a controlled descent back to the ground under streamer or 'chute. Many high-power rockets will deploy a very small parachute (the "drogue 'chute") at apogee and descend quickly to a predetermined altitude where another ejection event occurs and a much larger main parachute is deployed to bring the rocket softly back to Earth. Sometimes things can go awry during the launch or recovery portion of a rocket flight. You should pay attention to the flights and all announcements and warning. Even if the flight is perfect, a large rocket descending under parachute can land in the spectator area, so if you hear a "heads-up" warning, take action to locate the rocket and protect yourself and/or others in your charge. Never attempt to catch a rocket descending under parachute. Never go near a rocket caught in power lines. Do not attempt to remove a rocket from power lines. 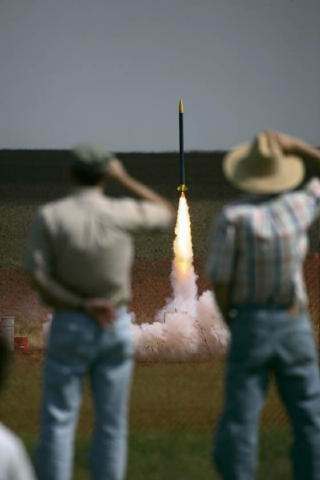 Spectators and especially children should not approach or pick-up a rocket that reaches the ground after flight. Most flyers like to perform an initial assessment of the rocket immediately following touchdown, especially if the flight or recovery was not nominal. The owner of the rocket may give permission for the rocket to be approached or retrieved by someone other than himself, which is okay. Parents should know where their children are at all times and ensure that they are aware of the safety rules. Enjoy yourself while attending the launch. If you have questions about what you are witnessing, most rocketeers will be glad to discuss rocketry and KLOUDBusters with you. A few people like the Launch Control Officer (LCO) and Range Safety Officer (RSO) are 'on-duty' during launch operations and might not be able to stop and converse with you. During slow times, the RSO should be able to answer your questions or direct you to another KLOUDBusters member or club officer who can.